Windows has never been a perfect operating system. 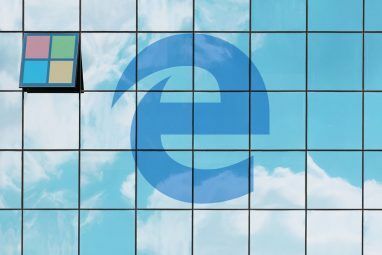 We all run into problems from time to time, whether that means setbacks during a Windows upgrade 6 Common Windows Upgrade Issues & How to Fix Them 6 Common Windows Upgrade Issues & How to Fix Them Upgrading Windows 10 can cause a number of complications. We show you what to watch out for and how to prevent or fix issues. Read More , errors in the Windows Registry How to Fix Windows Registry Errors & When Not to Bother How to Fix Windows Registry Errors & When Not to Bother In most cases, fixing our registry will do nothing. Sometimes registry errors cause havoc after all. Here we'll explore how to identify, isolate and fix registry problems – and when to not bother at all. Read More , or even failures during System Restore 12 Tips to Fix Windows System Restore 12 Tips to Fix Windows System Restore Struggling with creating a system restore point or rolling back to a system state? Here are twelve tips to help get your Windows System Restore up and running once again. Read More . And when these issues pile on top of each other, they can result in an unstable, crash-prone system — a frustrating nightmare that has actually driven users towards other operating systems 5 Reasons Why Windows 10 Might Make You Switch to Linux 5 Reasons Why Windows 10 Might Make You Switch to Linux Despite Windows 10's huge takeup, there has been plenty of criticism for Microsoft's new everlasting operating system. Here are five top reasons why Windows 10 might irk you enough to make the switch to Linux. Read More . But before you take such drastic measures, there’s a lesser-known tool in Windows, called the Reliability Monitor, that can help you solve and rectify such reliability issues The Best Free Windows 10 Repair Tools to Fix Any Problem The Best Free Windows 10 Repair Tools to Fix Any Problem If you're running into system problems or rogue settings, you should use these free Windows 10 repair tools to fix your PC. Read More . Here’s how it can benefit you, starting right now. Launch the Control Panel (Windows key + X > Control Panel). Select the System and Security category. Select the Security and Maintenance sub-category. Under the label of Check for solutions to problem reports, click the link labeled View reliability history. Press Windows key + Q to launch Cortana. It may take a few minutes for it to load the first time you launch it. Now that the Reliability Monitor is open, let’s explore what it can do for you in maintaining your system’s health. The first thing to know about the Reliability Monitor is that it pulls all of its information from the Windows Event Manager. A Windows Event is exactly what it sounds like: something that happened on your system that you may want to know about. Software Installs: Includes Windows updates, driver updates, application installations and removals, as well as changes made to operating system components. 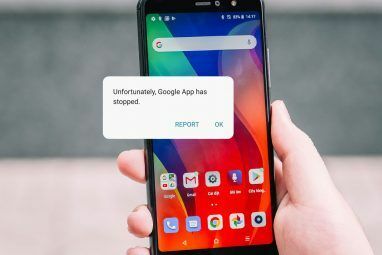 Application Failures: Includes applications that terminated while in a non-responding state and applications that suddenly and unexpectedly stopped working. Hardware Failures: Includes hardware component failures, mainly data drives and RAM modules. Windows Failures: Includes any times the operating itself failed to boot up or unexpectedly crashed. Miscellaneous Failures: Includes any other kind of reliability event that doesn’t fall into the other categories. Whenever one of these events is fired, the Reliability Monitor records details about what just happened — the date and time, the application involved, what kind of failure it was, etc. — and these records are kept for several months. By default, the Reliability Monitor only shows activity over the past month, but it actually stores all kinds of data from the past year. And as we’ll see, this is immensely useful for diagnosing problems. Let’s say you have a laptop, one that’s only a year or two old, and it’s starting to become unstable. Every once in a while, you may experience the dreaded blue screen of death Windows 8 Crashing? How to Easily Troubleshoot Blue Screen & Other Issues Windows 8 Crashing? How to Easily Troubleshoot Blue Screen & Other Issues Windows 8 isn't perfect. That said, most blue screens and application crashes aren't Windows' fault. 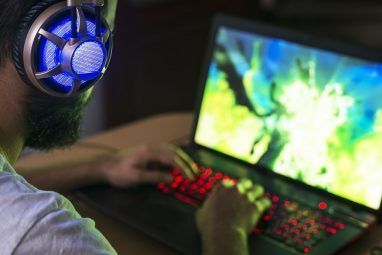 Our tips will help you identify exactly what's wrong with your PC and fix it. Read More . Or maybe applications are randomly crashing for no apparent reason. All you know is that something is definitely wrong, but you have no idea where to begin. Maybe it’s been happening for several months now, which makes it even harder to discern why this started happening. That’s a perfect time to consult the Reliability Monitor. In the hypothetical history shown in the screenshot above, we can see that the very first critical error occurred on May 26, followed by another critical error on May 30, and a third on June 1. These may or may not be related, but they serve as a starting point and that’s what we need. So we look at the informational events provided by the Reliability Monitor on these two days and perhaps we find that nothing in particular stands out. Okay, that’s fine. Maybe these two errors were isolated events. No problem. What about that other long string of critical errors? That looks promising. Day after day, important system processes have been suddenly stopping for some reason 8 Annoying Windows 10 Issues & How to Fix Them 8 Annoying Windows 10 Issues & How to Fix Them The upgrade to Windows 10 has been smooth for most, but some users will always encounter issues. Whether it's a flashing screen, network connectivity issues, or battery drain, it's time to resolve these problems. Read More , and it seems to have started on June 6. Now we look at the log of Informational events and perhaps we find that a certain Windows Update ran on this day. Or maybe that’s the day we installed a new application or driver update. The solution could be as simple as reverting our drivers or uninstalling the application. Even though all of the above was hypothetical, it illustrates one way in which you can use the Reliability Monitor to your advantage. If the Monitor showed a hardware failure relating to RAM, for example, you would want to go and troubleshoot your RAM in more specific ways How to Troubleshoot Low RAM or Memory Leaks in Windows How to Troubleshoot Low RAM or Memory Leaks in Windows Do you have 4 or more GB of RAM and does your computer still feel sluggish? You may suffer from a memory leak or shortage. We show you how to troubleshoot all your Windows (10)... Read More . Each event also features a follow-up Action — either Check for solutions or View technical details — that can shed more light on the problem and potentially even fix the issue altogether, although I wouldn’t count on that being successful most of the time. The Reliability Monitor also provides two more bits of information that make it easier to gauge the overall health of your system. The first is the System Stability Index, which is a numerical value between 1 and 10. If your system is incredibly unstable, the index drops down towards 1. However, as your system becomes more stable and robust, the index climbs up towards 10. Ideally you want to aim for an indefinite streak of 10, but that’s usually unrealistic, unless the computer is rarely used or only used for simple activities like browsing Facebook or playing Solitaire. For every hour that you don’t have any warnings, errors, or crashes, the index will slowly increase. Every warning, error, or crash you encounter, the index will drop. The more severe the issue, the steeper the decrease — usually between 0.1 and 1.0. Recent failures have more of an impact than past failures. The index only considers days when the computer is on and active. The other bit of information is the overview of problem reports, which you can view by going to the bottom of the window and clicking the link labeled View all problem reports. This is basically a breakdown of all recorded errors sorted by individual applications and processes. You probably won’t use this overview very often, but you should check into it about once a month or so. It’s a great way to see if a certain application or process is consistently causing problems over time, and if so, which ones. How Do You Troubleshoot Windows? Of the many ways to diagnose an unstable or faulty Windows PC 13 Windows Diagnostics Tools to Check Your PC's Health 13 Windows Diagnostics Tools to Check Your PC's Health Microsoft Windows can have problems that aren't easy to diagnose. Here are some handy tools to help you troubleshoot issues! Read More , this should be at the top of your list. It’s easy to use, doesn’t require much time or effort, and the dividends are well worth it. If nothing works, you may have to rely on one of the built-in recovery modes that are available in Windows Should You Refresh, Reset, Restore, or Reinstall Windows? Should You Refresh, Reset, Restore, or Reinstall Windows? Ever wanted to reset Windows 7 without losing personal data? Between a factory reset and a reinstall, it was tough. Since Windows 8, we have two new options: Refresh and Reset. Which one is right... Read More , including Restore, Refresh, and Reset. And if things are really bad, you can always rely on the nuclear option: reinstall Windows 10 from scratch 4 Ways to Reset Windows 10 and Reinstall From Scratch 4 Ways to Reset Windows 10 and Reinstall From Scratch Windows 10 is still Windows, meaning it will need a fresh start every once in a while. We show you how you can get a fresh Windows 10 installation with as little effort as possible. Read More . But with careful use of the Reliability Monitor, there’s a good chance you may never have to go nuclear again. Have you ever used this tool before? Know of any other troubleshooting tips or tricks for Windows users? Share your thoughts and expertise with us in a comment below! Explore more about: Computer Maintenance, Troubleshooting, Windows 10, Windows 7, Windows 8, Windows 8.1. Does anyone know how to change the visualization so I can see the past months, like in Windows 8.1? I believe the Windows 10 version was tweaked a bit and doesn't allow for that view anymore, but I may be wrong. Sorry. 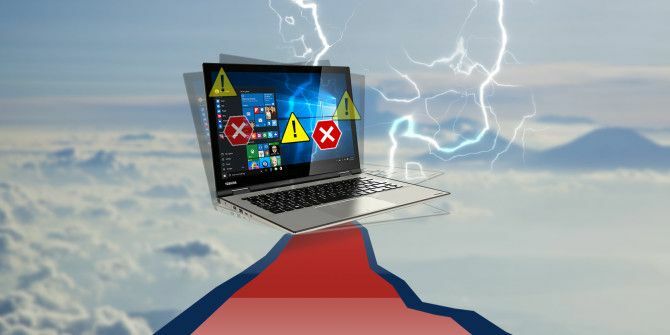 "Though this tool has been around since Windows Vista, Microsoft still hasn’t put it front and center by actually providing an app called Reliability Monitor. "